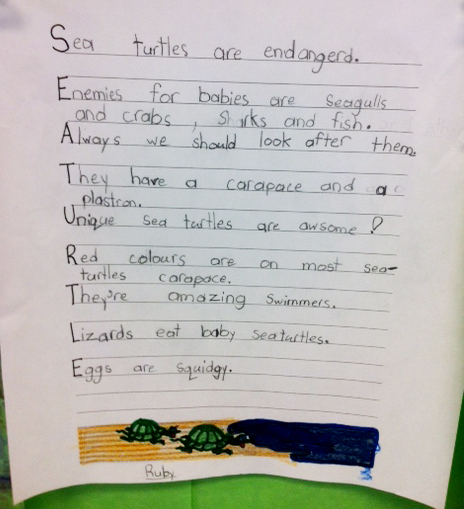 Guest blogger Jan Minty is the principal at Edwin S. Richards Elementary in Mission, BC. "Adopt the Sea" is the theme of the school's arts based curriculum project at the school this year. Jan Minty shares how teachers and students are working collaboratively with two artists in residence, Lee Kwidzinski of ModernLee Dance and Shari Pratt of Creative Kaos, to explore movement and the visual arts infused with units in literature, science and social studies around the theme of the sea. Read Jan Minty's previous post about Adpot the Sea. 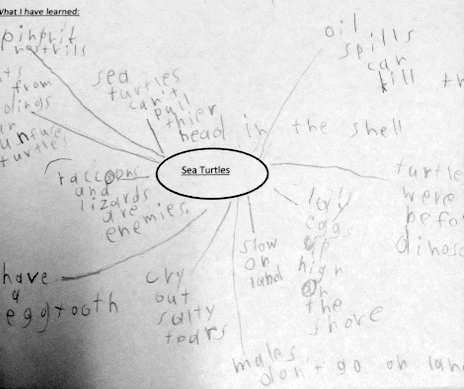 With children naturally being interested in the ocean's abundant sea life, it was not a hard sell for our Grade One/ Two teacher to introduce a study of sea turtles as their contribution to our arts infusion sea theme. 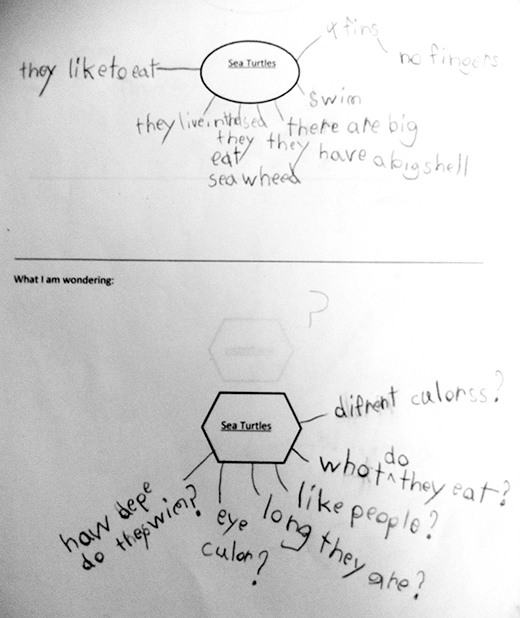 Classroom activities have included immersing the students in the "powerful language" of quality literature, capturing the students' pre-existing knowledge of turtles, painting batik representations of sea turtles with our artist in residence, Shari, providing experiences with our movement artist, Miss Lee and focusing on specific vocabulary (bonk, push, poke) to describe the way the kids were to move as the baby sea turtles emerge from their shells. 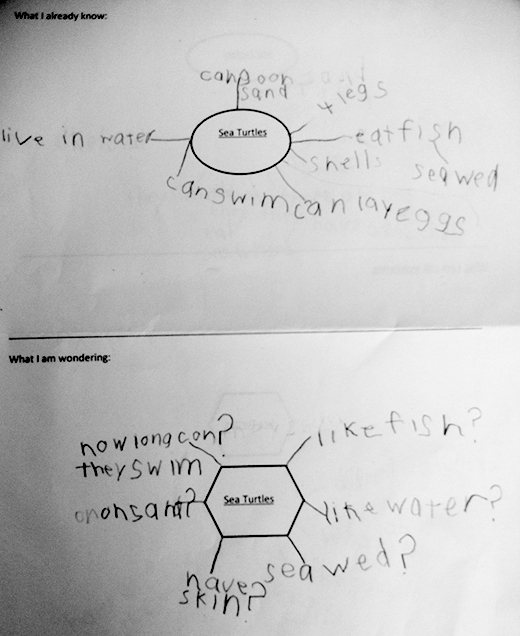 Using these rich language and art experiences, the students dramatized or role played the life of the sea turtle. 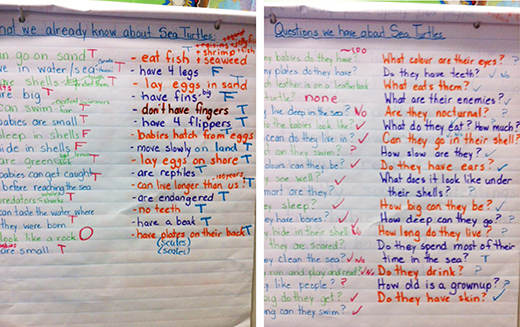 Students reflect on what they already know about sea turtles, what they are wondering, and later, what they learned. 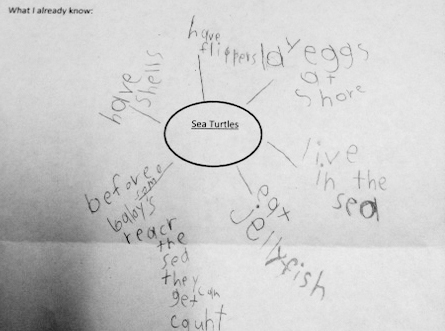 In speaking with the classroom teacher, the subsequent writing from the first person view of the sea turtle would not have been as rich nor as detailed had they not learned the concepts through drama and movement first. Reticent writers and special needs students met with great success and the comparison of one child's pre-existing knowledge to the knowledge gleaned through all the infusion of arts into the process of learning is noticeable. Read Jan Minty's next post about Adpot the Sea.